The book of Colossians is similar to Ephesians in many ways, but it is also incredibly unique. Colossians can be read in just a few minutes but it may prove to be somewhat challenging to understand. Paul wrote this letter to the church in Colossae to keep them faithful, to inoculate them against false doctrine. 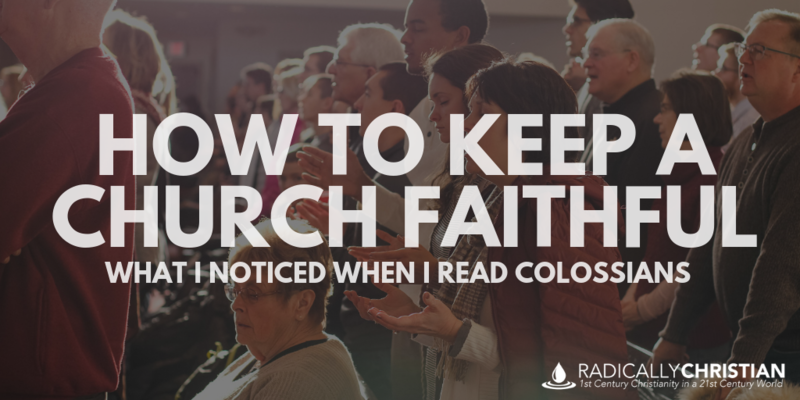 I am firmly convinced that Paul’s method of keeping a church faithful still works today. It’s not hard to pick up on the fact that there must have been some teachers who were teaching the Colossian church false doctrine. There may have even been multiple groups of false teachers, teaching conflicting philosophies, but they all posed a threat to the Colossian church. Paul said these false teachers wrongly insisted on things like asceticism and worship of angels. They went on and on about their visions and were puffed up without reason by a “sensuous mind.” They were promoting a human philosophy and a self-made religion. Paul’s goal with this letter was to ensure that false teaching (no matter how plausible the arguments) would not be accepted by the church. Paul wanted to make sure his brothers and sisters in Christ would not be disqualified from receiving their inheritance. Paul wanted to make sure that when this church family is someday presented to Jesus they are all mature, holy, blameless, and above reproach. In order to keep the church from being led astray, Paul’s strategy was simple, preach Jesus. We seem to forget sometimes, the thing that should draw people to Christianity is the beauty of Jesus. We don’t make disciples by having more convincing philosophies or arguments. We don’t make disciples by having more engaging entertainment or church programs. We make disciples by sharing who Jesus is and what he has done. And if that’s the reason people become followers of Jesus, then that is also the reason they remain faithful to him. Compared to what Jesus has to offer, peddlers of philosophy and self-made religion have absolutely nothing of value. Paul also reminded the Colossians about the fact that they have a “hope laid up for [them] in heaven.” Notice this is a bit different than telling them their hope was to go to heaven. That’s not what he said. He said their hope was being stored in heaven. What is this hope laid up in heaven? Paul would go on to say it is the “hope of glory.” In other words, it is the confident expectation that when Christ appears, they also “will appear with him in glory.” Paul calls this the “inheritance of the saints in light.” Trying to persuade them to remain faithful to Jesus, Paul reminded them “that from the Lord [they] will receive the inheritance as [their] reward.” This is another thing the false teachers could not offer. The consistent teaching of Jesus and all the apostles is that Christians should not be eagerly anticipating death, but eagerly anticipating Jesus’ return. Jesus will bring with him our “glorious inheritance” (Ephesians 1:18) that is currently “laid up in heaven” for us. He will give to us, and to all of God’s people, the inheritance that was promised to Abraham and his descendants. As with previous letters, Paul taught the Colossians that becoming a follower of Jesus means becoming a part of a new creation. Because of Jesus’ kingly victory over the ruling powers that enslaved us, we have been empowered to become a new kind of human being. Paul taught the Colossian Christians to put on this new humanity. Allowing their new humanity to be seen in their working relationships, their family relationships, and everything they did or said. The qualities of this new humanity are things like compassion, kindness, humility, meekness, patience, forgiveness, and love. The power to become this new kind of person does not come from philosophers or teachers of the Law, but from Jesus himself. 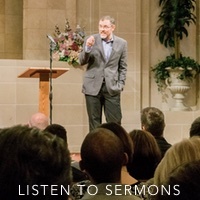 My big takeaway from Colossians is that if we are going to keep individual Christians and whole congregations faithful, we must simply preach Jesus. What did is his death and resurrection accomplish? What sort of inheritance has he promised to bring to his people? What power does he offer us to transform our lives in the present? If we want to persuade people to follow Jesus, these are the types of questions on which we should focus our attention.